Homeland Brewery is building a brand new laboratory/brewery in Building 027 O.
NEMO Science Museum The Studio in Building 027 A is now under construction and will open in July. On April 15th, most of the ground work will be done, as the annual Vakconferentie Wetenschapscommunicatie takes place here. 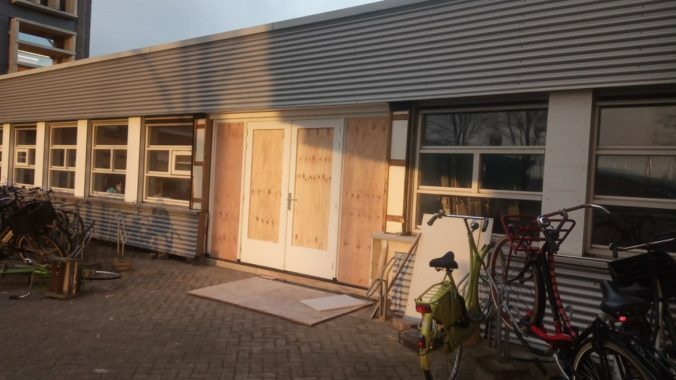 The Archaeological workshop – MA has moved to Building 027 S.
AMEC Board / Amsterdam Smart City / TechConnect will jointly move into the former spaces of Archaeological workshop – MA, and take up the entire ground floor of Building 002.